Beechcraft is mostly associated with trainers and private aircraft. 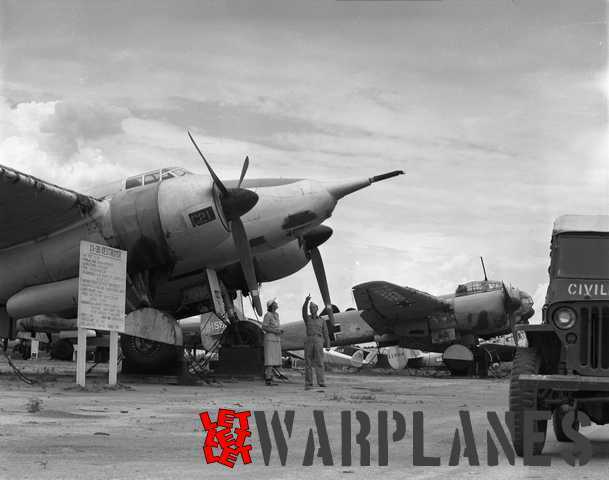 However, during the Second World War they designed and built a very potent attack bomber. Basically there was noting wrong with their design; only the circumstances at that time prevented large scale production. 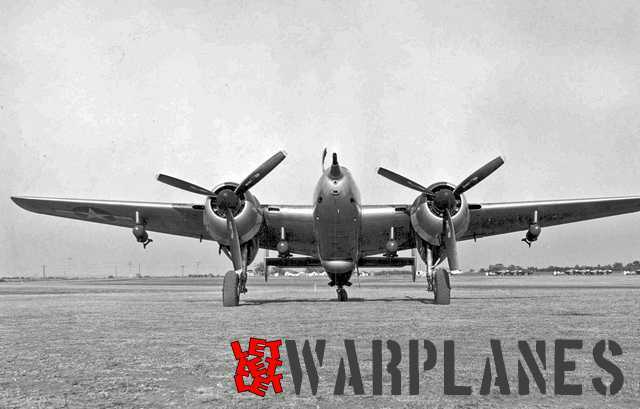 In this article we will have a closer look at this fascinating type: the XA-38 Grizzly. 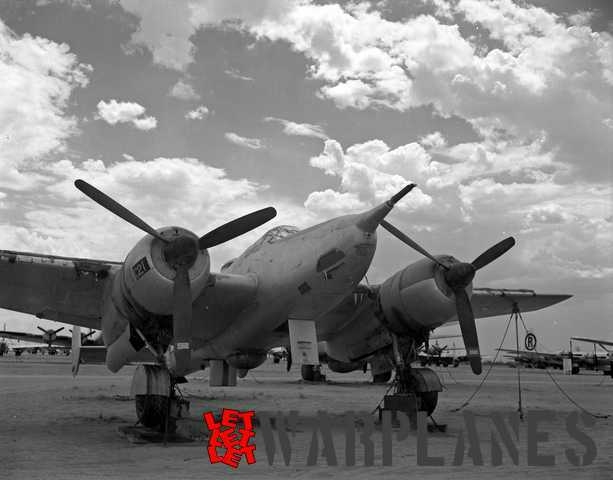 The first Grizzly prototype on the ground, still without any armament. The 75 mm gun is a dummy. 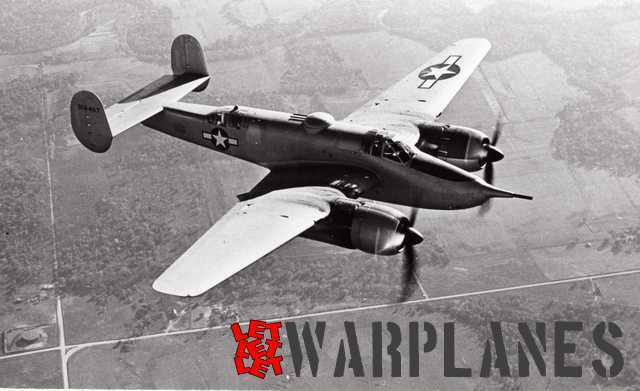 The Beechcraft Model 28 was a design for an extremely heavy armed attack plane for use as ‘flying artillery’ against military strongpoint, armoured vehicles and ships. For this purpose it was planned with a heavy weapon of 75 mm fitted in the nose. This weapon could be automatically reloaded after each single shot from a specially developed feeding mechanism carrying twenty shells. U.S.A.A.F. 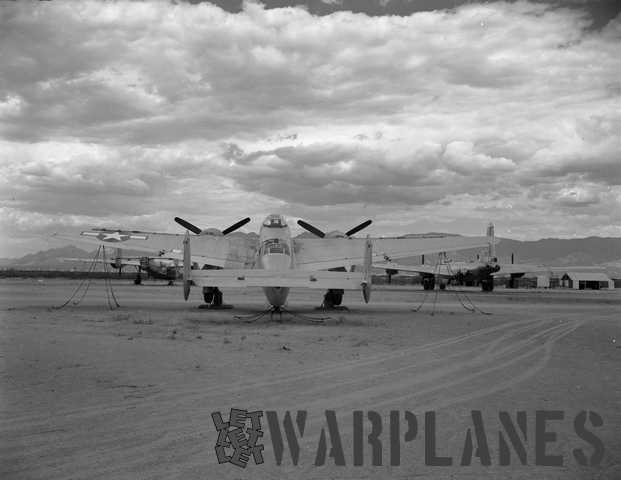 designation was XA-38 and it was named ‘Destroyer’, although this never became familiar and at the end it became better known as the ‘Grizzly’. 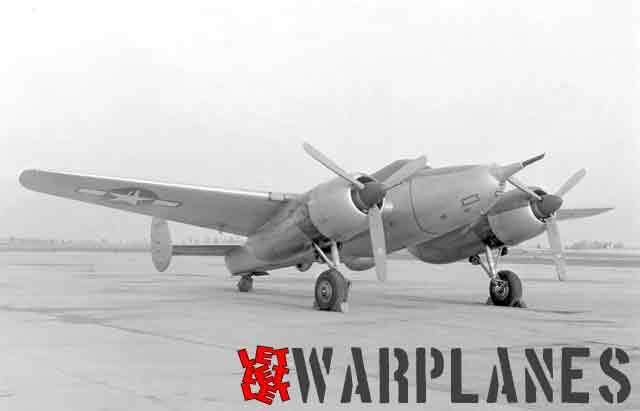 The XA-38 was clearly influenced by the Beech D18S light transport plane and crew trainer. 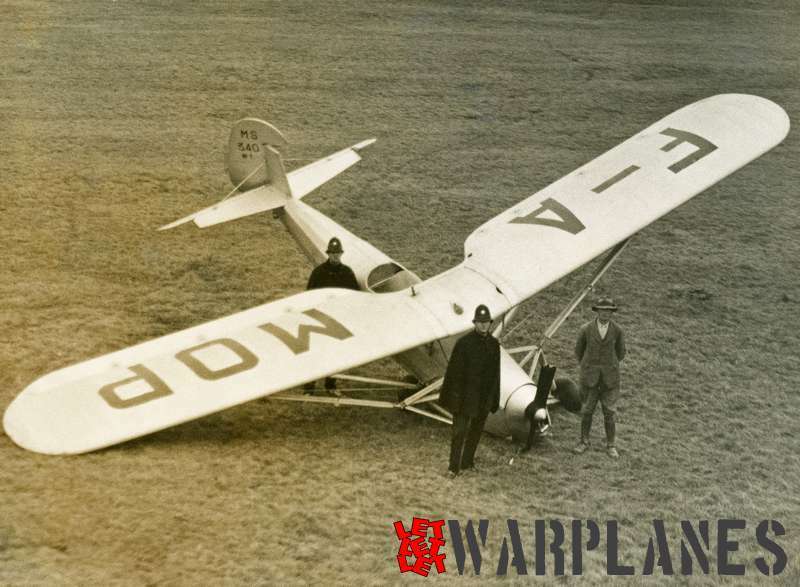 It was, however, much larger and heavier and fitted with two very powerful radial engines. 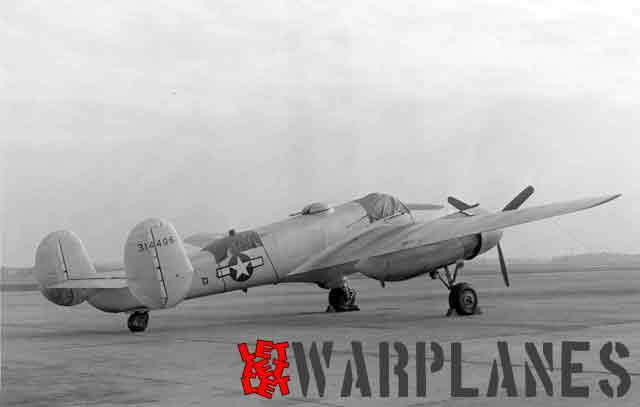 Engine type selected for the new battle plane was the Wright R-3350-43 Duplex Cyclone. This was the same type of engine as used for the Boeing B-29 Superfortress. 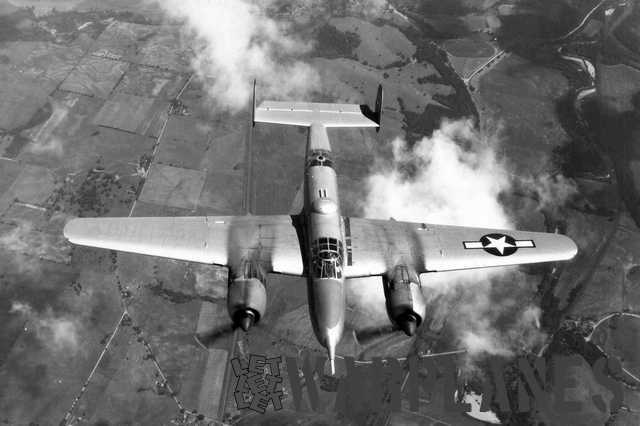 Basically the production A-38 was intended to replace the Douglas A-20 Havoc. Rear view of the first Grizzly. Most likely the two guns in the upper turret are also dummies. The ventral turret clearly contains nothing. The U.S.A.A.F. ordered already in December 1942 for evaluation two prototypes of this ‘flying canon’ . They received the serial numbers 43-14406 and 43-14407. 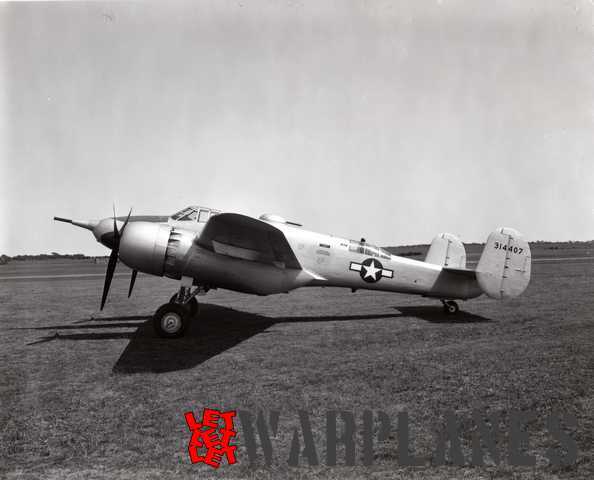 First flight with 43-14406 was made on 7 May 1944 by Beechcraft test pilot Vern Carstens. 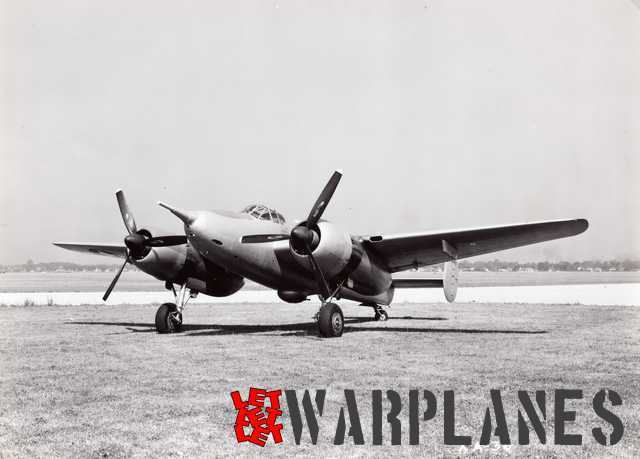 Carstens also flew the second prototype on its first flight on 22 September 1944. 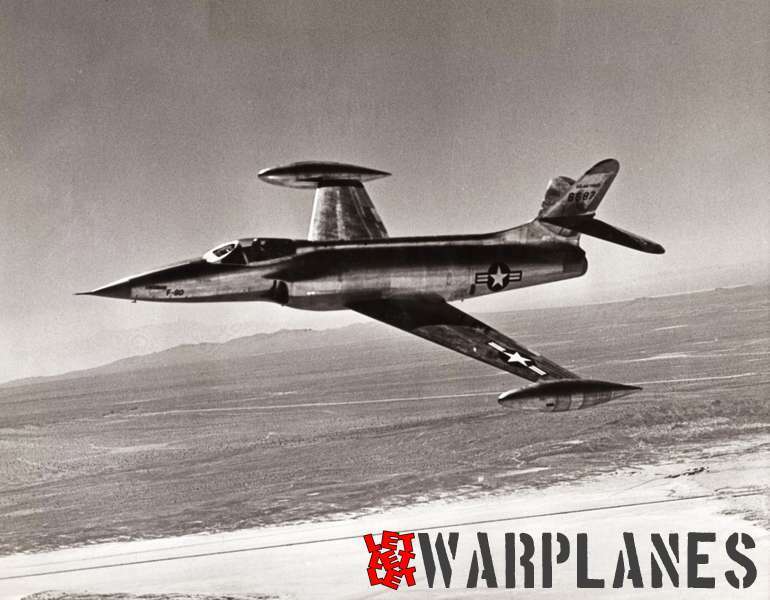 Both prototypes flew in general quite well having excellent flying properties and for a plane of this size it had a remarkable manoeuvrability. 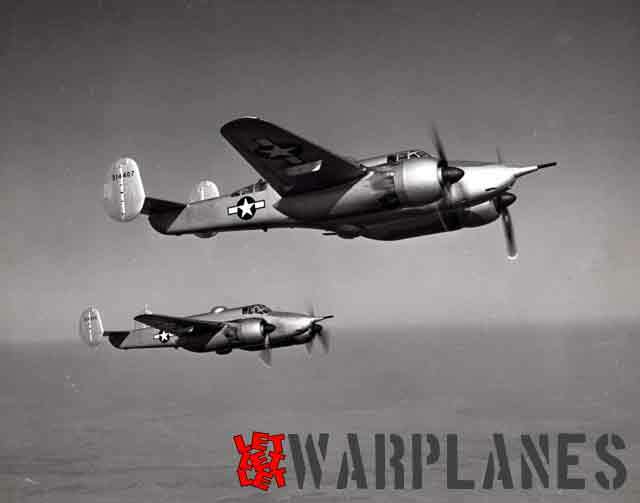 During test flights a top speed of some 600 km/h was reached and an escorting P-51B Mustang had great difficulties to maintain formation with the Grizzly. 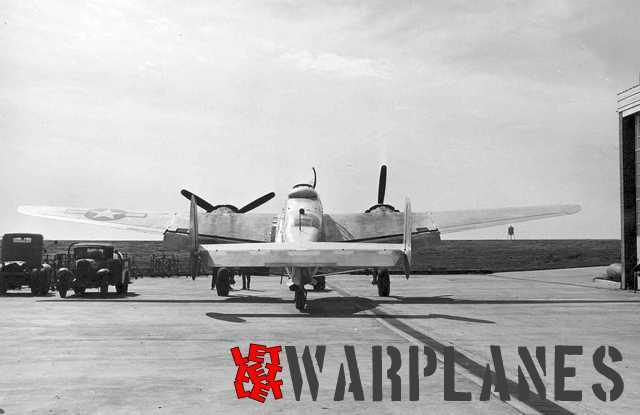 The first XA-38 is readied for the start. 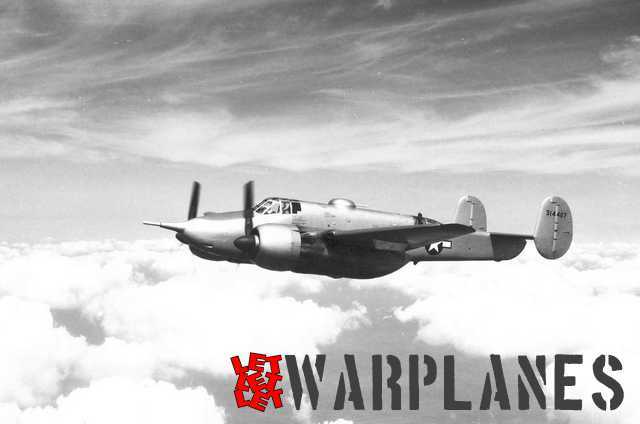 The first prototype was at first flight still fitted with a wooden dummy canon in the nose without any further military equipment, but the second machine was already fitted with the final 75 mm gun and an additional two fixed machines guns in the nose and another four in two gun turrets in a dorsal and ventral turret. The flexible guns were remotely controlled. The big gun was mounted in the centre line of the fuselage and created no directional changes that needed to be trimmed. It was operated by the pilot from a switch on the control column and it was aimed using a reflex gunsight. Because the pilot did not need to trim the aircraft after firing a shell multiple shells could be fired with high precision on the same target. Recoil of the big gun was by hydraulically damped springs. During gun firing trials the Grizzle exceeded all expectations and the results on surplus armoured cars and light tanks was described as ‘devastating’. Nice in-flight picture of both Grizzly prototypes. Note pylons under the outer wing sections. 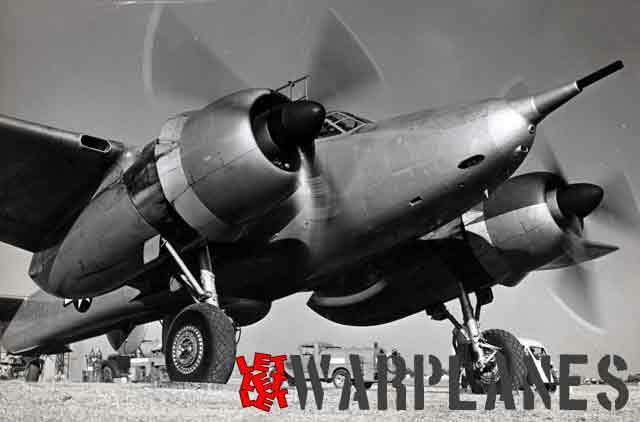 Unfortunately the Grizzly flew at a time the end of the war was already in sight and because the Duplex Cyclone engines were most urgently wanted for the B-29 bomber, interest in the Grizzly from the U.S.A.A.F. soon dwindled and no production orders were placed. Retrospectively we may say that at some moment the U.S.A.F. 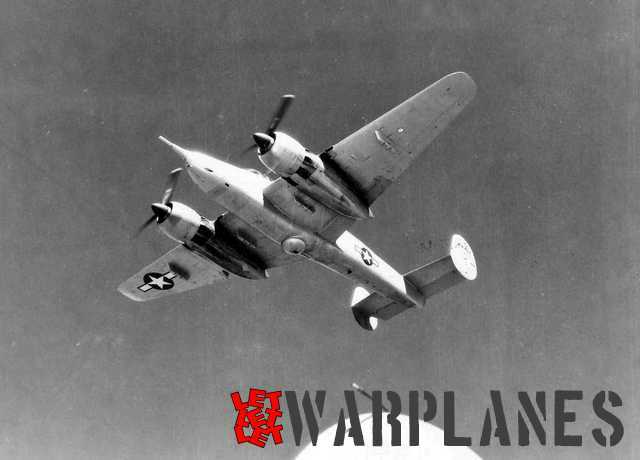 must have regretted this decision when the war in Korea broke out and ground attacks had to be done by much lighter aircraft like the Douglas Skyraider. 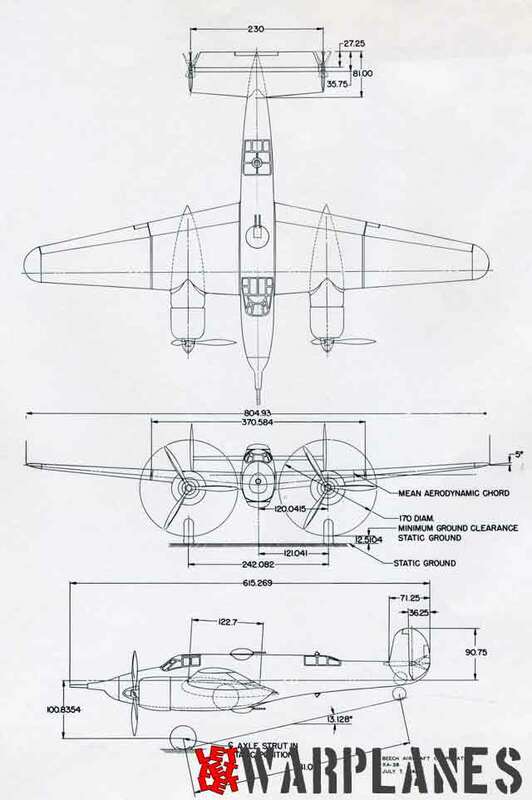 Fitted with the 75 mm big gun, additional machine guns in the nose and the possibility to carry bombs under the wings it definitely would have created havoc when used against enemy positions/strong-points! 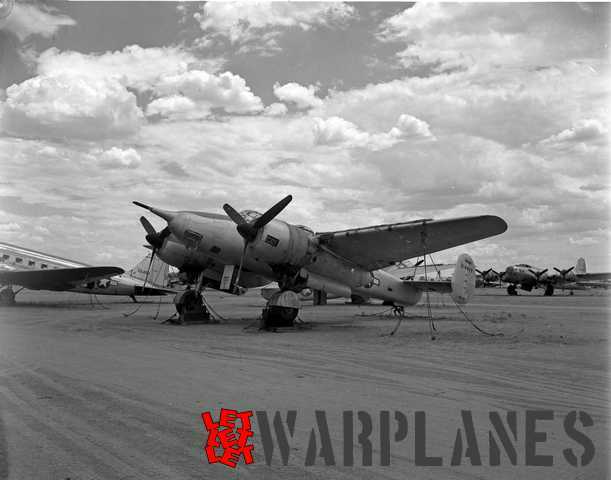 In 1948 the first prototype went to the large aircraft disposal and storage area at Davis Monthan AFB, Arizona. 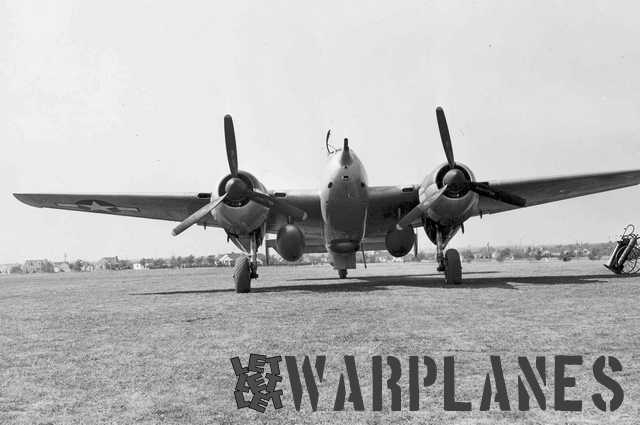 It was exhibited for some time together with other war-type aircraft. It was finally dismantled and scrapped. The fate of the second Grizzly prototype is unclear, but most likely it was already scrapped earlier. 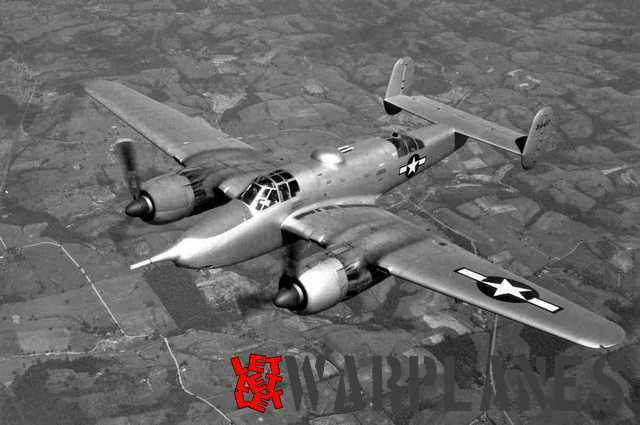 Beech Aircraft Corporation released after the war an extensive seven-page press bulletin on the Grizzly including details on its construction. The pdf file of this bulletin can be found here. 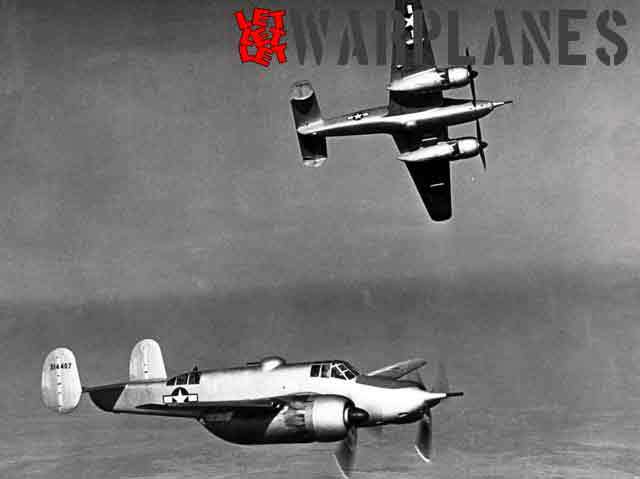 Both Grizzly prototypes were flown in bare metal scheme with standard late wartime U.S.A.A.F. markings. 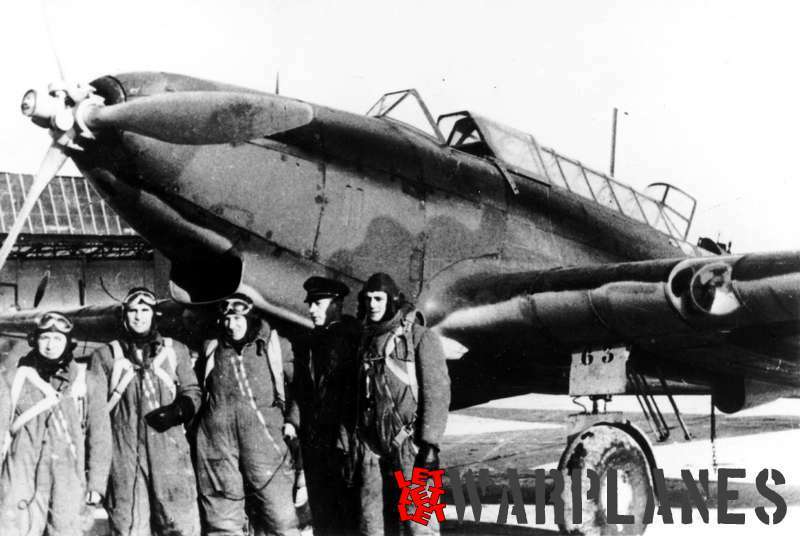 The markings were carried on both sides of the rear fuselage and on the outer panels of the left upper wing and the right under wing. Only the serial number was carried in black lettering on the tailplanes and rudders. There was a dark green anti glare panel in front of the cockpit. Also the upper cowling panels of the both engines had an anti-glare section at the fuselage side. The Grizzly with its engines running. Anigrand has a 1/72 scale resin kit of the XA-38 Grizzly including vacform canopy parts and decals. The kit has two fuselage halves, two wings and four engine nacelle halves. 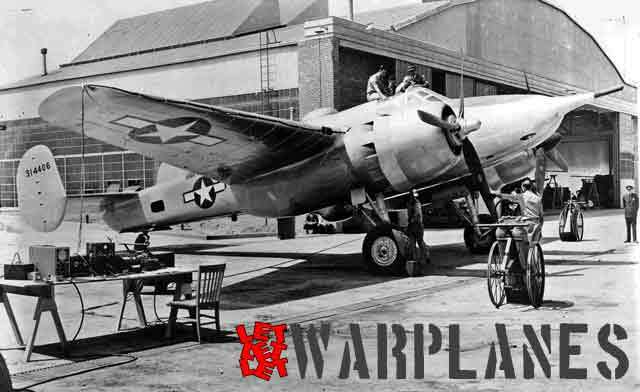 Tail section, turrets, engine parts, propeller blades and spinners, undercarriage struts and wheels and some smaller parts are also all provided in resin. Cockpit interior is almost absent; only a crude pilot seat and a control column are provided. The 3-view drawing was kindly supplied by the late mr. Kase Dekker from the AAHS. Wow, If only that went into production. It would most certainly give the Me-410 a run for its money. Very interesting plane indeed. The wind tunnel model of the A-38 Grizzily is located at the Kansas Aviation Museum in Wichita, Kansas.